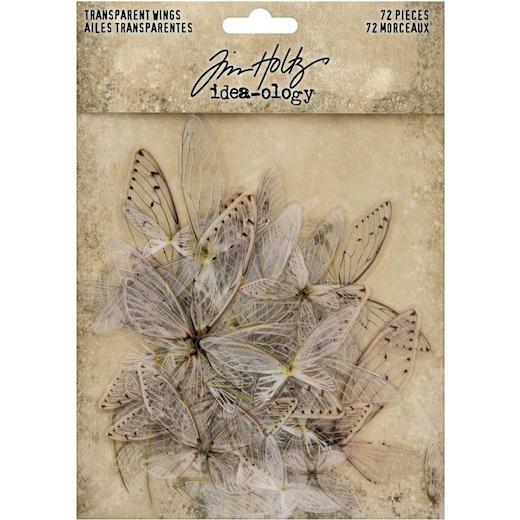 Transparent wings: transparent wings that can be added to paper or baseboard dolls for mixed media projects. Approximate measurements (wing pairs): 1.4375 inches, 2.3125 inches, 3.3125 inches, 3.375 inches, 2.25 inches, 3.3125 inches. 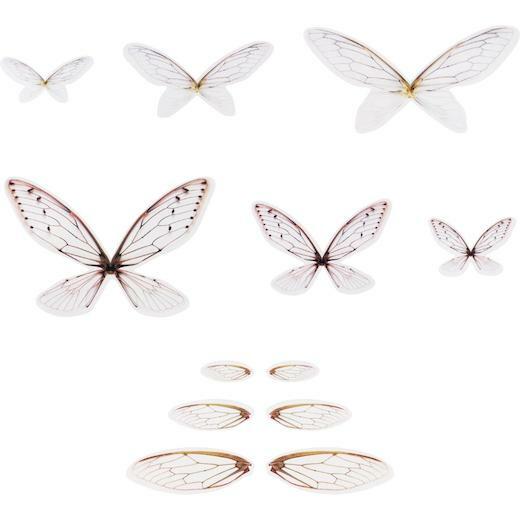 Approximate measurements (single wings): 0.875 inch, 1.5 inches, 2.125 inches.